Lena has been part of the Russian Speaking Jewish Community since 1990, first as a camper then as a counselor at Jewish Federation camps in Ukraine. Jewish camping has been her life passion. Lena is a graduate of Program NAALE 16 in Israel, where it was a magical experience of learning and living at her favorite country with friends - Just like a super long fun camp experience. Lena is married and has a daughter who has been a camper at Camp Gesher too! Lena is determined and dedicated to bringing Camp Gesher to new heights of greatness and fun! Elena grew up in a former Soviet Union and became familiar with Jewish culture only as a teenager. Elena studied at a Jewish high school, went to Jewish camps and seminars as a camper, than became a leader and volunteer in Jewish organizations Hilel and Marom in Russia and Israel. Elena moved to Los Angeles at 2014, and was involved with Jewish federation of Los Angeles as volunteer in hosting, promotion, planning and organizing events for RSJ families. Elena has experience in journalism and advertising with masters degree in journalism and applied this experience and knowledge in Camp Gesher. 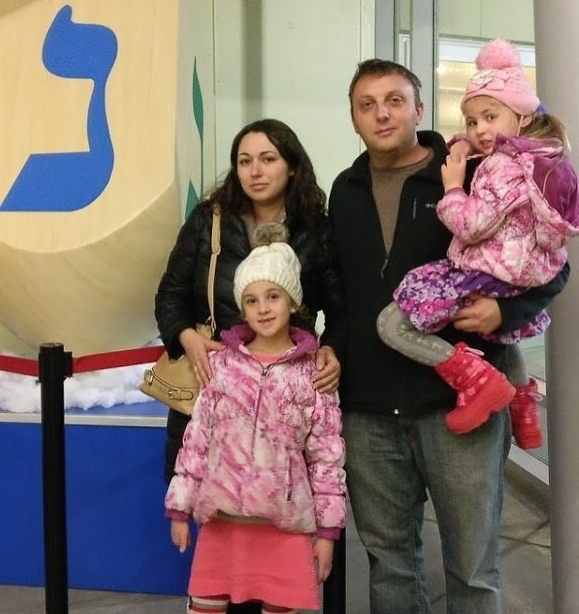 Elena and her husband have two children, and it is very important to raise them in Jewish culture and gain Jewish values from early childhood.